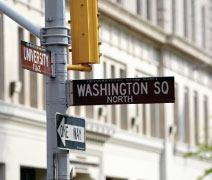 The NYU Tandon School of Engineering combines city life, a diverse student body, and outstanding technology-focused degree programs. It enrolls 2,286 undergraduates from across the United States and 60 countries around the world. 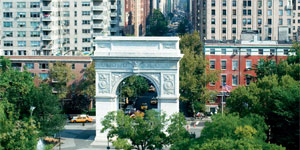 The NYU Tandon School of Engineering builds upon a historic legacy that began in 1854 in Brooklyn, New York. Among Tandon’s faculty and graduates are Nobel Laureates, notable inventors, astronauts, world-class scientists, and successful entrepreneurs. The Tandon School of Engineering’s academic model is based on a paradigm of invention, innovation, and entrepreneurship. The academic program is designed to transform ideas into action. In addition to traditional engineering disciplines, Tandon offers cutting-edge programs for future leaders in Cybersecurity, Digital Media, Business Technology, Sustainable Urban Environments, and Biomolecular Science. All of its majors provide practical experience along with theory. After freshman year, students may apply to the BS/MS program, where undergraduates have the opportunity to earn a bachelor’s and master’s degree in four years. Tandon students take advantage of all NYU resources. They take electives and minors across NYU’s other undergraduate programs, collaborate with professors in cross-institutional research, participate in study abroad programs, and pursue internships through the Wasserman Center for Career Development. With professors who are both scholars and practitioners, Tandon offers a rigorous, challenging education. Undergraduates enjoy a 10:1 student-faculty ratio, receiving individual attention and mentorship that fosters academic growth and networking for professional careers. The Tandon School of Engineering boasts cutting-edge research facilities and technological resources, including modern laboratories, studios, galleries, and smart classrooms. Students share ideas in green space and “PolyPods”—nontraditional learning spaces encouraging impromptu collaborations and discoveries—and learn to protect against hacking at our weekly hacknights. A new Maker Space brings 3D printing and scanning technology to the school. The campus provides two high-tech residence halls and guarantees housing for all four years. The surrounding area, known as the “Brooklyn Tech Triangle,” is America’s most up-and-coming innovation center, home to over 500 creative and tech companies generating more than 10,000 jobs. Tandon operates four technology business incubators, providing resources to launch successful startups where more than 300 students intern. Our faculty, students, and alumni also lead tech ventures among other aspiring companies. The Tandon School of Engineering offers the best of both worlds: students enjoy the social and recreational activities at both the dedicated School of Engineering in Brooklyn and NYU’s campus in Greenwich Village. Student organizations, fraternities and sororities, and clubs provide a social atmosphere for developing leadership skills and lifelong friendships. NYU Tandon School of Engineering applicants will be considered for all possible NYU financial aid—including need- and merit-based scholarships—if they fill out the CSS Financial Aid/PROFILE, the Noncustodial Parent PROFILE (if applicable), and the FAFSA. Undergraduate tuition for the 2016–2017 school year was $46,500–$54,000.